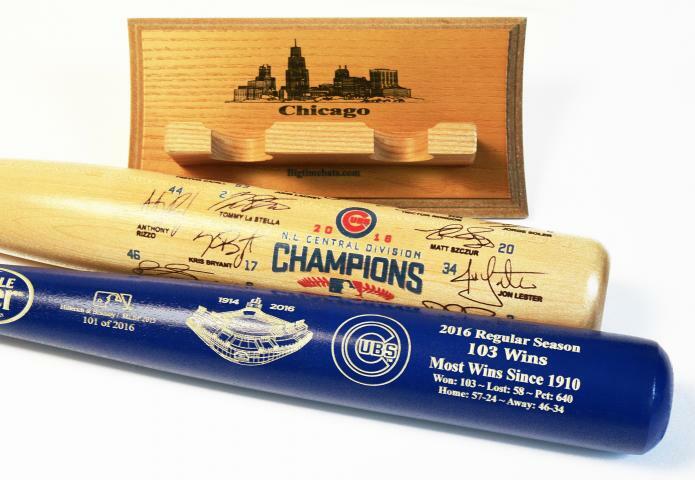 We are pleased to offer a limited number of Custom Two Bat Sets with FREE Display Rack featuring the newly released Chicago Cubs 2016 Postseason Commemorative Bats! This set includes one (1) Postseason Team Signature Bat, one (1) two-tone 103 Wins season bat and one (1) FREE custom Skyline Two Bat Display Rack - a $59.95 savings. 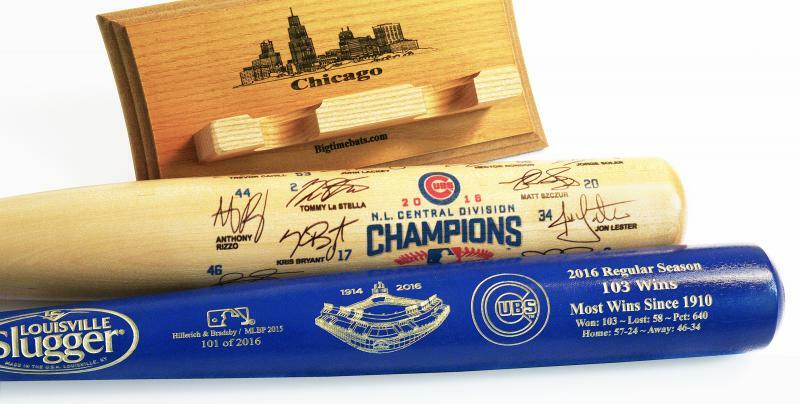 This set is a great addition to any Cubs fan's collection of team memorabilia. Order yours today. Due to the limited nature of this offer we must charge your credit card for the full amount immediately upon taking your order. This policy ensures we reserve a set for you. We will confirm your order by email. Bats are not game used. Please allow 4 to 6 weeks for delivery. 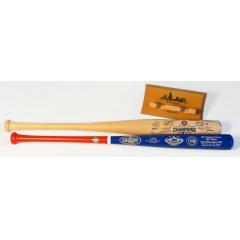 * Team signature bat features autograph facsimiles.